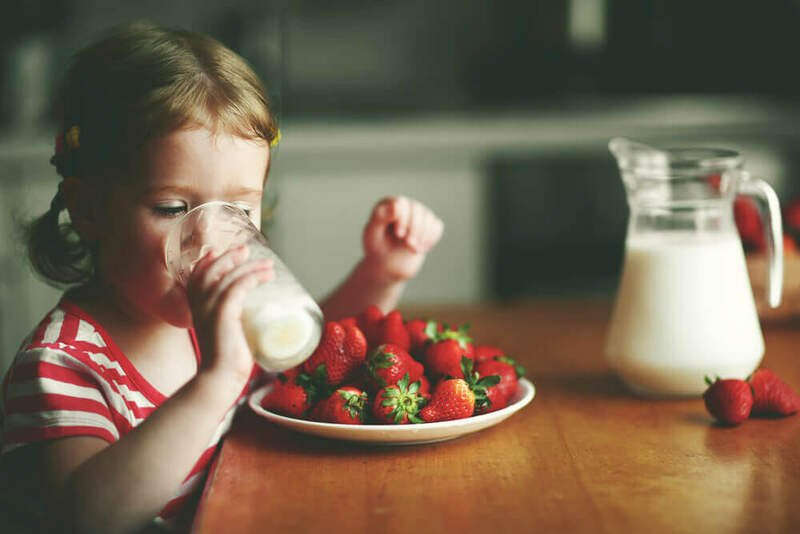 It’s simple to add dairy products like milk, cheese, and yogurt into your child’s day by following some of these easy suggestions. 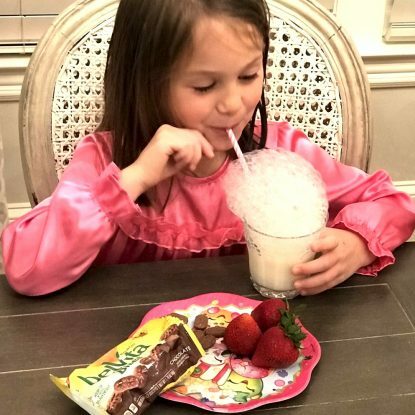 You can feel good knowing your children are getting important nutrients like protein, calcium, vitamin D, magnesium, and potassium all while enjoying some of their favorite foods. But…if you’ve paid attention to celebrity websites, diet books or even recipe trends on Facebook and Pinterest, you’ll see that going dairy free both for adults and kids has become quite trendy. Americans are drinking less milk than ever before and this is not limited to just adults—it holds true for children as well. However, the glamorization of a dairy-free diet, misconceptions and myths about dairy, and the removal of an entire food group from the diet have me concerned both as a mother and a dietitian. Eliminating the nutrients found in milk from the diet may have huge health implications because children are not receiving the nutrients they need to grow. 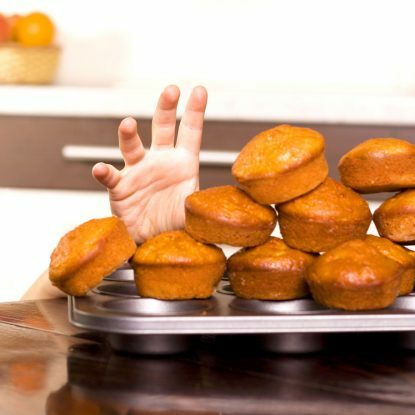 Recently, I read a statement released by the National Osteoporosis Foundation saying that osteoporosis is a “childhood disease with adult consequences.” This struck me and has made a significant impact on how I feed my children. For those of you that may not be familiar with the bone building process, there is only a limited amount of time that children and young people are able to build their bones. They need important nutrients like calcium and vitamin D to do this (both nutrients are abundant in milk and milk products). The NOF notes that “dairy products provide most of the calcium and vitamin D in the diet, as well as high-quality protein and significant amounts of magnesium, potassium and other essential nutrients.” By not receiving the adequate nutrition for bone growth, children and young adults may experience an increase in stress fractures, shorter stature and a greater chance of osteoporosis as an adult. The main reason we drink milk is because my girls love it and I appreciate that a serving costs just about a quarter. Sure, they enjoy water and occasionally juice but they prefer the taste of a cold glass of regular or chocolate milk. Because the girls are pretty selective eaters, I struggle to get them to eat a wide range of foods so I feel good knowing that they get protein, calcium, vitamins A and D among nutrients from their glasses of milk. Goodness knows there is no way in the world they would be able to eat enough spinach, kale or sardines to make up for the calcium in milk! Dip it! 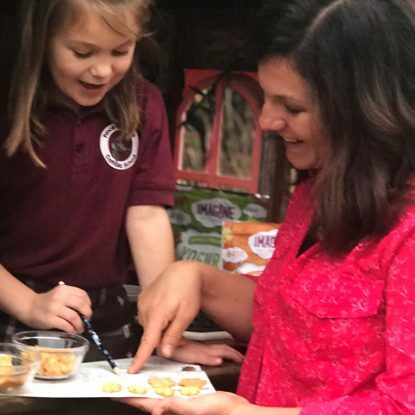 : Children love to dip so serve your little ones a sweet or savory yogurt dip for a yummy, protein-rich treat. 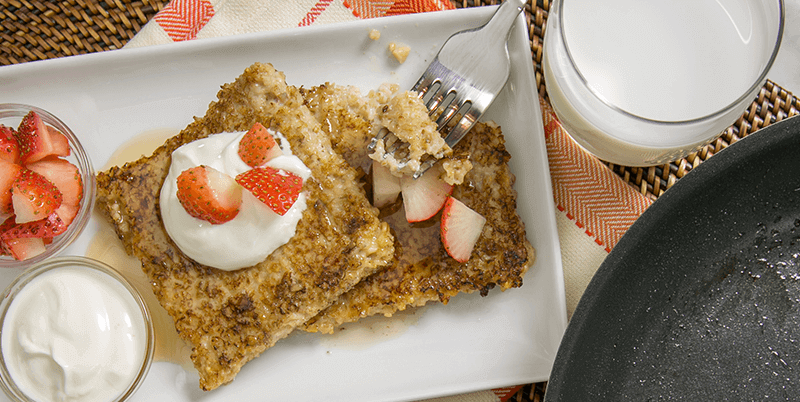 Check out this recipe from Milk Life for Steel-Cut Oat Pancakes — YUM! Savory: Combine plain Greek yogurt with herbs and pair with cucumber spears, celery sticks or cherry tomato. 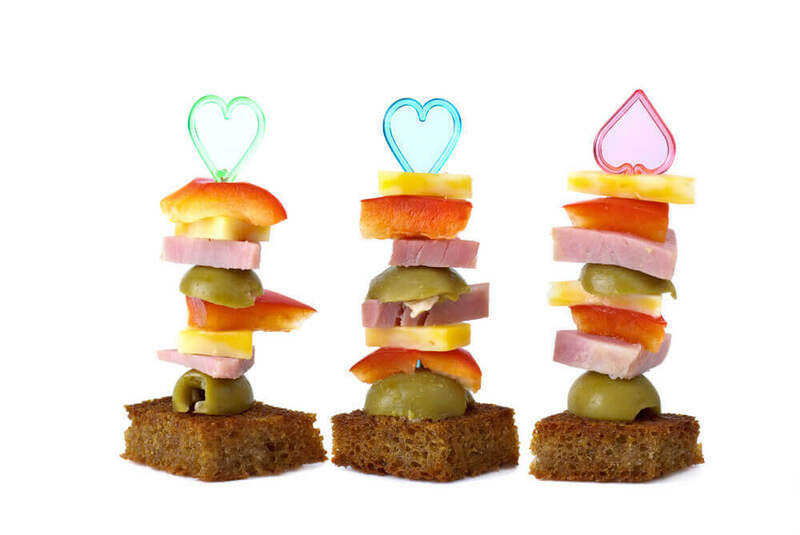 Simple Skewers: Bring your mini chefs into the kitchen and let them skewer their favorite ingredients using 6-inch kebabs or, for the little ones, sturdy coffee stirs. Set out a variety of bowls with options like cheese cubes, mini mozzarella balls, cubed tofu or meat like chicken, ham, or turkey, cherry tomatoes, bell pepper pieces, broccoli and cauliflower florets and mushroom caps. Daily Theme: Choose a daily theme such as letter of the day, princesses, beach, etc. and pack a lunch or serve a snack around the topic. For example, if “C” is the letter of the day then cut a slice of cheese into a “C” using a cookie cutter and serve alongside a piece of corn-on-the cob, grilled chicken, and carrot sticks. 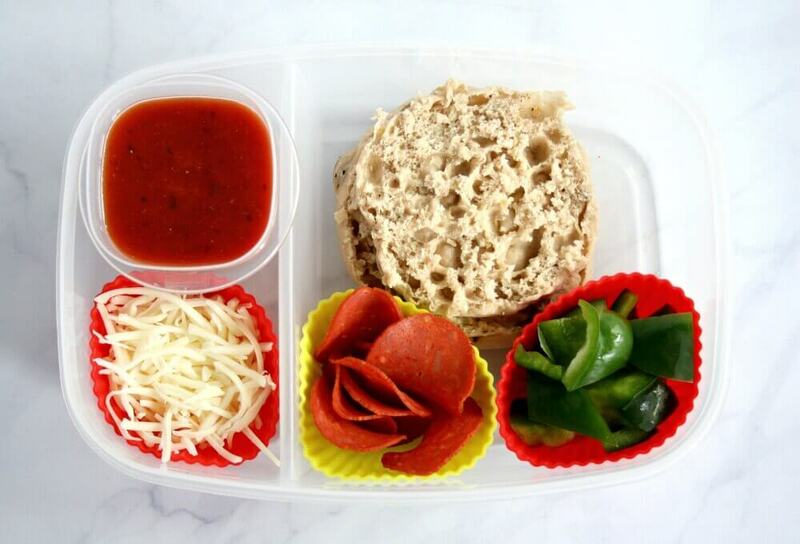 Homemade Lunchables: Use a compartmentalized container or create your own using muffin cups then fill each spot with a tasty option like I did in this Lunchable Pizza Lunchbox. Follow these tips for making sure you’re offering a well-rounded selection. Choose items like a cheese sticks cut in half, whole wheat crackers, low-sodium ham, grapes, and a square of dark. 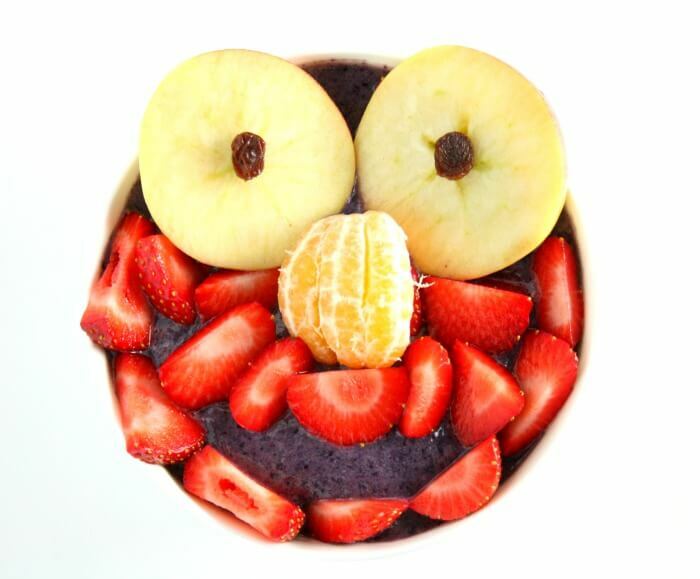 Do you have a favorite way to add dairy to your child’ diet? I would love to hear your ideas below!